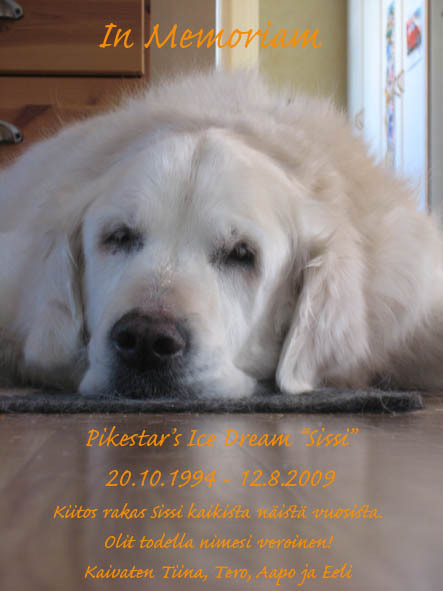 In Memoriam Onni, Pikestar’s Mister Harmony 17.12.1995-11.10.2009. 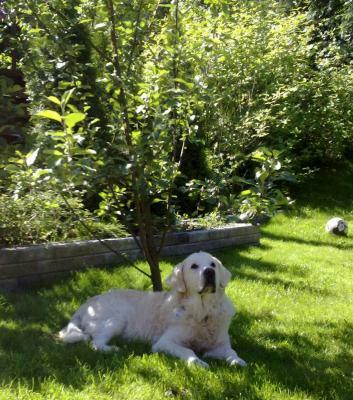 Thank you Onni’s family for taking such a good care of him. Pikestar’s New Sharm BD-2 CC –> FI CH! Congratulations Pauliina and Taavi! Pikestar’s Ramazotti –> FI & EE CH! Pikestar’s New Charm. Congratulations to all! Pikestars New Charm BD-1, CC, CACIB, BOB. Judge Niels Brandstrup. Pikestar’s Summer Shot BIS1-veteran. Judge Raija Tammelin. Pikestar’s Havanna Black BD-2, CC. Judge Anthony Kelly, Ireland. Pikestar’s Havanna Black 1 HP BOB-puppy. Judge Lena Danker.